This beautiful blue stone embodies the purity and beauty of the sea. Aquamarine was believed to be the treasure of mermaids and was used as a good luck talisman by sailors. Associated with the throat chakra, it helps with communication and fear of speaking. 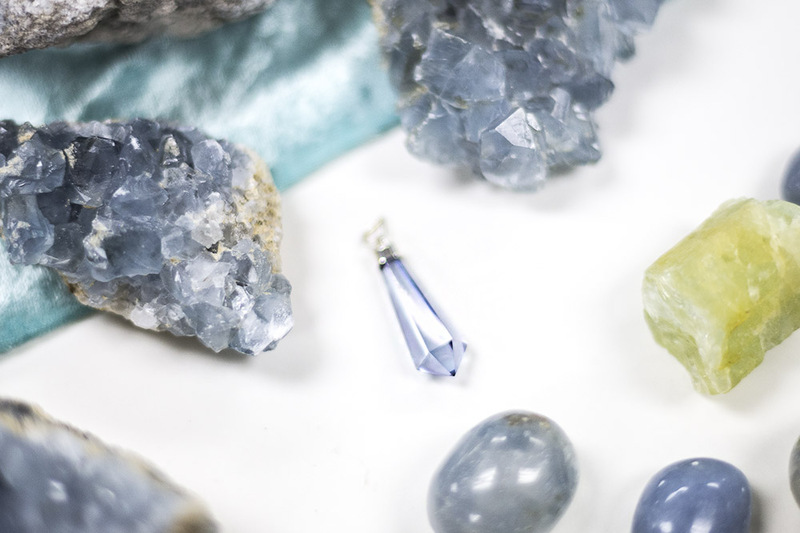 Aquamarine’s gentle and compassionate energy inspires tolerance and love. It can help produce harmony and increases commitment and fidelity. As a travel stone, it protects those who journey by the sea. By electrostatically bonding metals onto the surface of clear quartz, a new layer is created which intensifies the original properties of the quartz. Aura Quartz has the ability to expand consciousness as it has an extremely high vibration. It is a master healer for any condition as it carries a high level of life force and can bring the body into balance. Aura Quartz can calm and soothe the emotional body by helping to release negativity and stress.